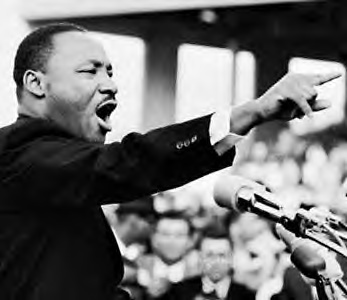 Martin Luther King made a speech on August 28, 1963 that has gone down in history as one of the signature speeches about the meaning of American life, liberty, and the pursuit of happiness. Below are some excerpts from the speech. 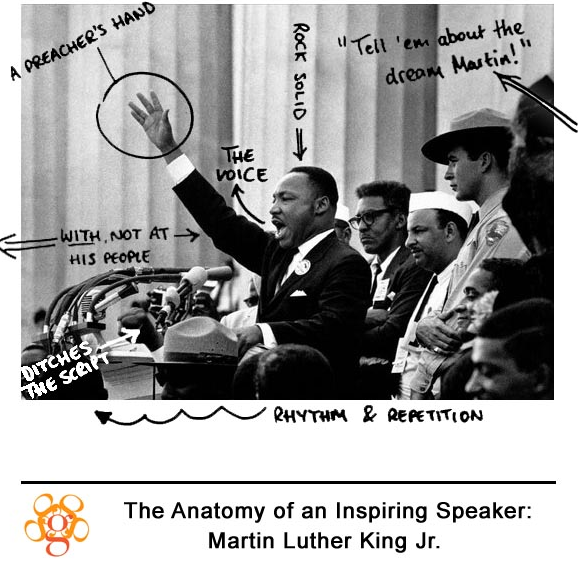 In this next audio, a two-part excerpt of his speech, Dr. King implies that the ideals expressed in the Declaration of Independence of equality, liberty and freedom have not been granted to all American citizens, and he implores his audience that this is the time to take action so that these ideals may be realized by all citizens; African American citizens in particular. 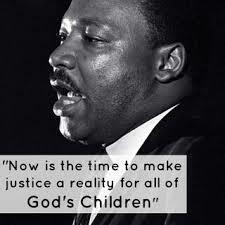 In this audio clip, Dr. King makes it clear by repeating one phrase over and over that "now is the time" to call upon those who are able to ensure equal rights - for all - to do just that. 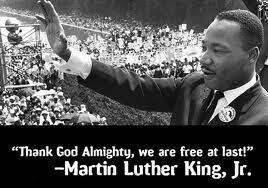 Finally, as his speech draws to a close, Dr. King goes back to his spiritual roots. He also makes it about every American, of different geographical areas (yet he stresses the Southern region of America), and of different races and religions.